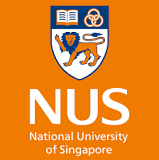 Our focus will centre on nurturing future-ready graduates, enhancing our research's translational impact and making NUS Asia's most vibrant university enterprise ecosystem. Our goal? More distinctive, high-impact value for Singapore and the world.